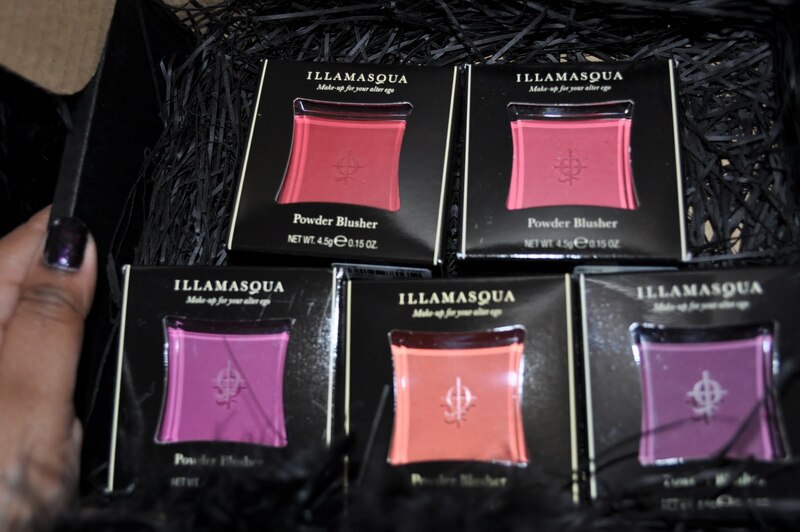 You are here: Home » There’s no way you’ll look ill with Illamasqua Powder blushes! 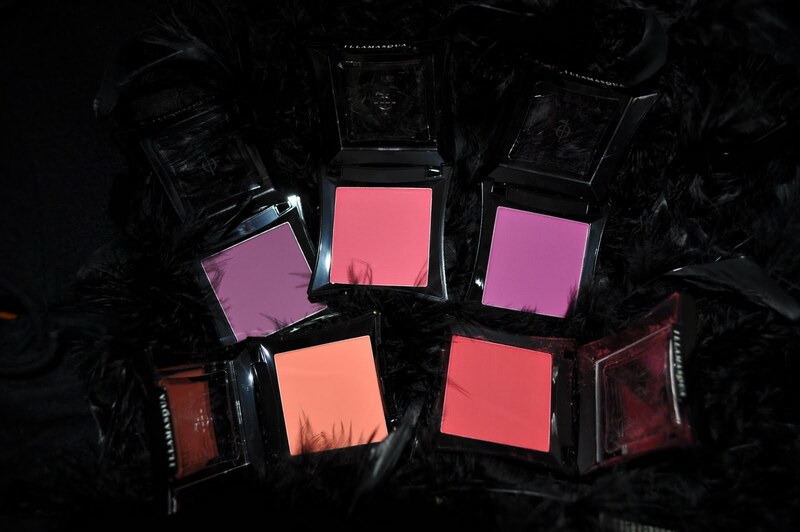 There’s no way you’ll look ill with Illamasqua Powder blushes! Pavlov’s dog may have salivated at the sound of a ringing bell but I have a similar reaction whenever I see the postal truck arrive. For anyone who does alot of online shopping, you’ll be all too familiar with that feeling of anticipation and excitement that seeing the delivery truck brings and the possibility that it’s carrying whatever products you just had to have and have waited so patiently (or not so patiently) for. That’s exactly the way I felt today when I saw the postie arrive and was delighted to see that he came bearing my much anticipated Illamasqua haul! Just as a quick FYI, I discovered quite conveniently a few weeks before my birthday that if you register with the Illamsqua website and include your birthday they email you a 15% off coupon code for orders placed the week before and after your birthday. I thought I’d make use of this code and excitedly placed an order for 5 blushes and then promptly forgot to include the code and placed my order. Doh! It’s ok though because my rationalisation was that it still worked out cheaper than buying it in Australia so really I saved money… yes, I know I’m deluding myself but hey, it was my birthday present to myself ok? Just as a quick side note for any Aussies that are interested, I believe the blushes are selling for $42AUD in Myer so that would have equated to $210 but I paid $145.48 AUD (without the discount)on the website and that included shipping. I ordered on the 27th of November, my order was dispatched on the 29th of November and I received it on the 9th of December which is quite a reasonable length of time for shipping considering it came from the UK. I’m going through a major bright makeup phase and especially bright blushes which is why I purchased the colours Tweak (pink/red), Excite (vibrant coral), Panic (cherry red), Sin (deep violet) and Thrust (magenta). 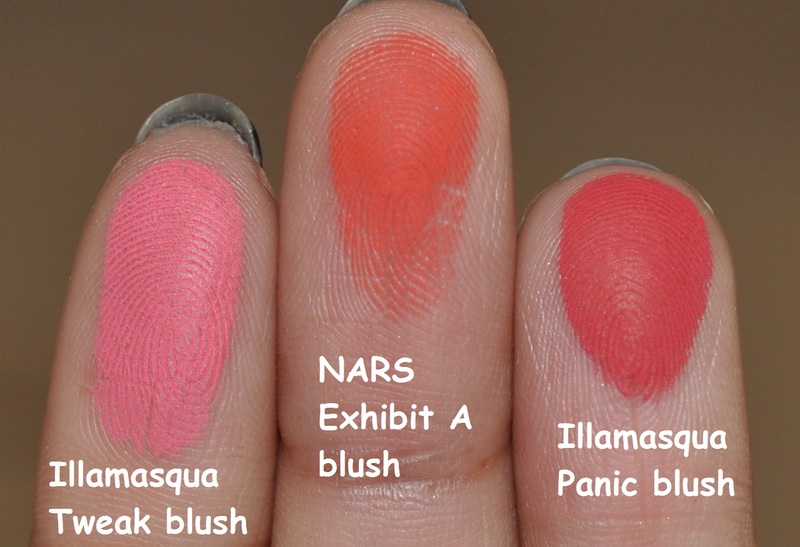 Here’s swatches of the blushes. My flash has bleached the intensity but the colours are quite true to life. Let me say that I love NARS blushes but I have to admit that Illamasqua seems to have them beat in the pigmentation department because these blushes are crazy pigmented! I have to be so careful when applying these because you can go from zero to crazy clown looking with one swipe of a blush brush. The intensity and vibrancy of these blushes makes them absolutely perfect for women of colour and I think that all of the colours I have swatched would look amazing on really deep skin tones. For those of lighter complexions, you can still rock these colours but just be super careful with application or go for the more muted blushes that Illamaqua offer. I can’t make any observations on how long these last because I pretty much went from having these delivered at my house to do doing swatches and posting about them in the space of an hour but I’ll update later. 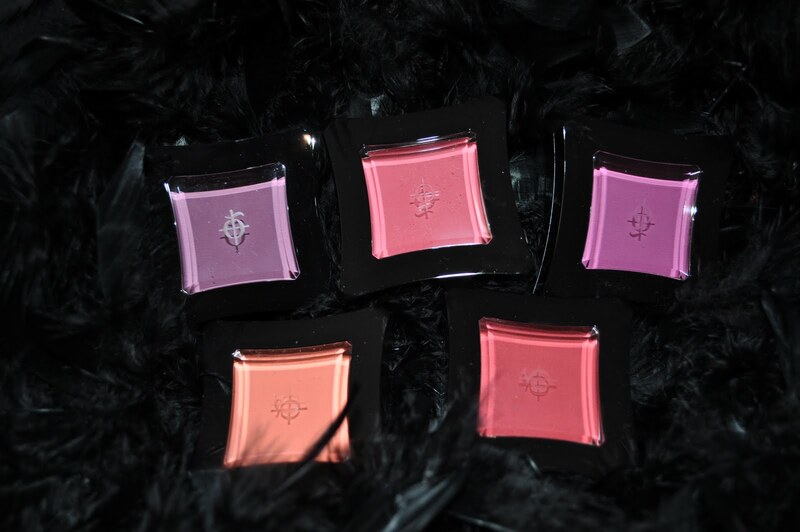 The Illamasqua blushes are 4.5g versus NARS at 4.8g but considering the Illamasqua blushes go for $42 in Australia and the NARS blushes go for $62 in Australia you might want to consider going for the Illamasqua blushes. They feel really smooth to the touch and they seem to blend quite well and seriously a little goes a long, long way so one blush will last you forever! When I was placing my order on the Illamasqua website I pretty much relied on the colour descriptions on the Sephora site when choosing what colours to buy. I had an idea in my head of what I thought each colour would be similar to but none of the blushes I purchased have a dupe in my collection. I thought the blush in Thrust would be similar to Smashbox Radiance blush or the MUFE HD blush in Truth or Dare but it’s deeper than both of them and has a noticeable amount of purple in it. The MUFE blush is a blue based pink and the Smashbox blush is quite a clean, fresh pink. I was worried after putting my order through that either Panic or Tweak would be a dupe for NARS Exhibit A but Tweak is an unusual red colour which has a pink almost fluro tone. Panic is definitely red whereas NARS Exhibit A has an orange tone to it which I never noticed that much until putting it up against such a true red shade like Panic. While Excite is not an exact dupe for MUFE HD blush in First Kiss, it is really close. Excite is brighter but I don’t think the difference is very noticeable when you wear this on your cheeks. I was thinking that I may have made a mistake by ordering both Sin and Thrust as they both seemed very purple but they are definitely two different colours. Sin is a straight up purple while Thrust is a pinky purple. I don’t have any dupes or remotely similar colours to Sin which is why I chose it. 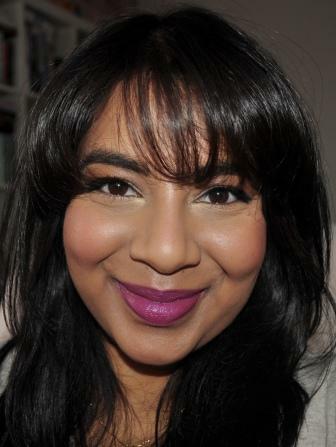 I wanted a purple blush that I could wear with my Up the Amp lipstick and any other purple based lip products. Phew! We have finally reached the end of this mammoth post and I applaud you for sticking with it! 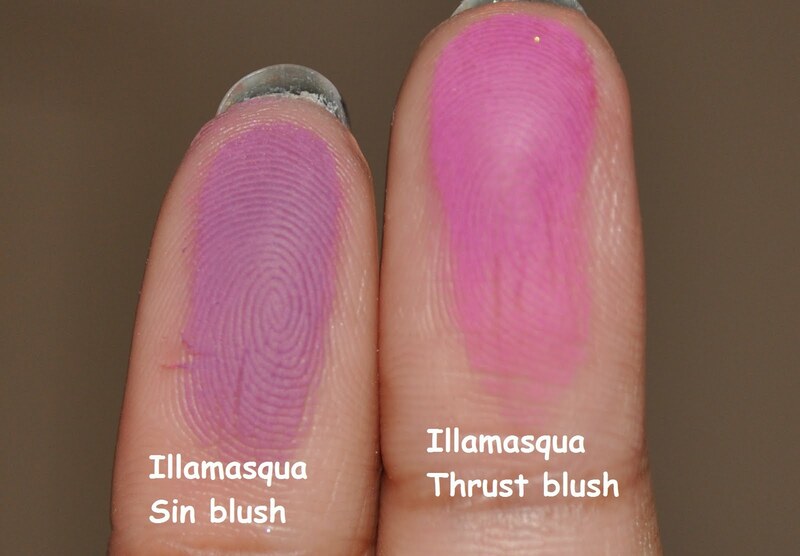 Hopefully this post was useful to you and helps you in your decisions over which Illamasqua blush is right for you or if you even need to add these blushes to your collection. If I have inadvertently created a lemming then I apologise but I promise you won’t regret the purchase if you decide to take the plunge! ← I would go to the ends of the earth for Deborah Lippmann Across the Universe nail polish!